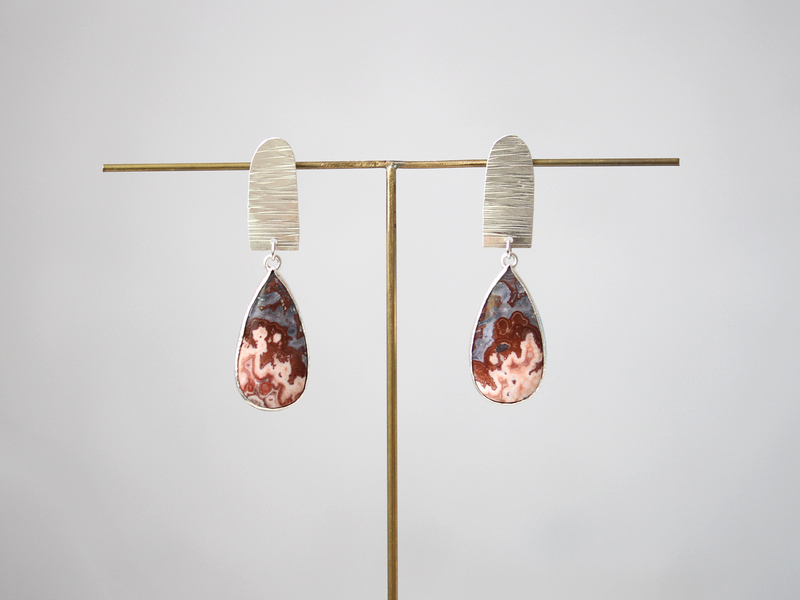 Unique pair of lace agate is set in sterling silver bezel dangling on a hand cut and textured argentiums silver plate. 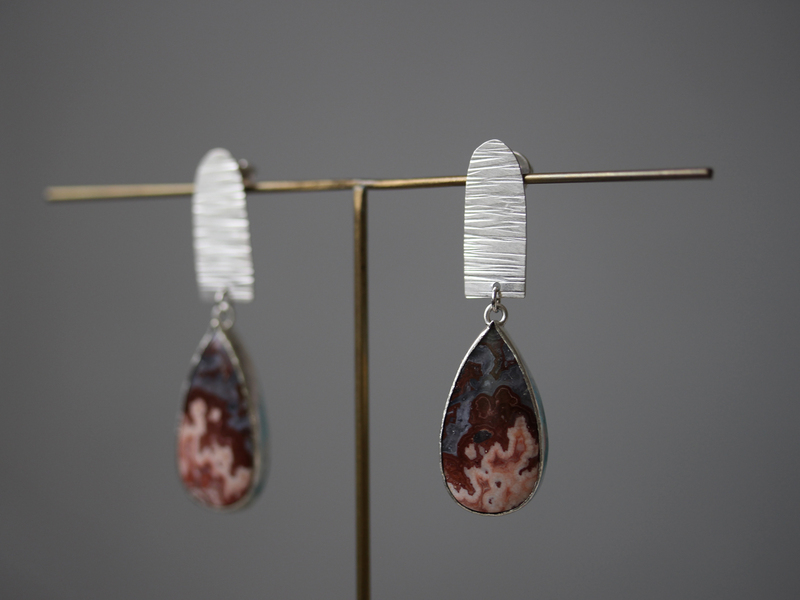 These agate drops have unusually beautiful pattern and pink and grey colour combination. The earrings come with sterling silver posts and nuts.